Our Altar Servers quietly and reverently serve at our masses week in week out. This both a privilege for them and also is an act of service on their part. We really do appreciate this and as a parish we try to show this appreciation by taking them for a bit of fun every now and again. 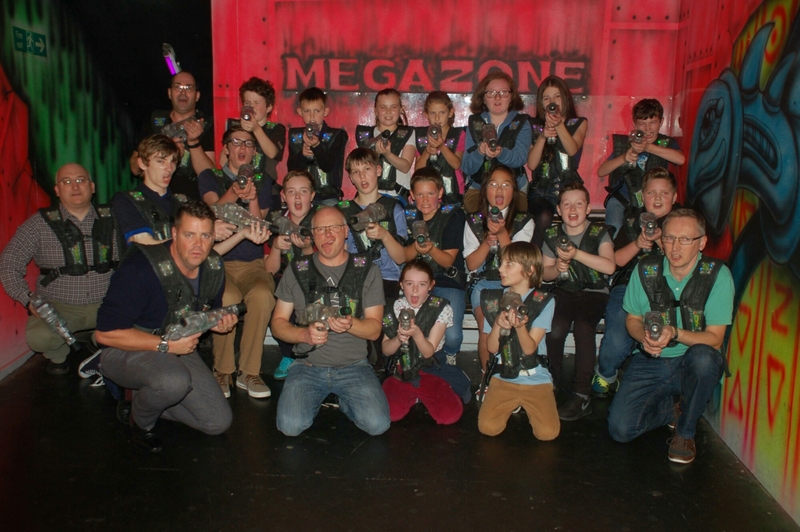 Today we have been to Megazone and what a fun time we’ve had. Twenty three of us have been jumping around in four teams zapping each other. We had a lovely afternoon discussing who was top of the table in strikes, shots or whatever stats were on our sheets. To be honest we think our priests did rather well 😂. The only argument is who’s the best shot, Fr Paul or Fr Slavic? This entry was posted in Parish Events and tagged service.